Michelle Obama revealed what she really meant when she said, "When they go low, we go high"
Michelle Obama is among the very best examples of a strong, confident, and compassionate woman that we have today. However, throughout her eight years in the White House, she faced endless criticism—at best—and pure vitriol at worst. And yet, somehow, throughout it all, Mrs. Obama remained poised and true to her values—and she never, ever lost her cool. 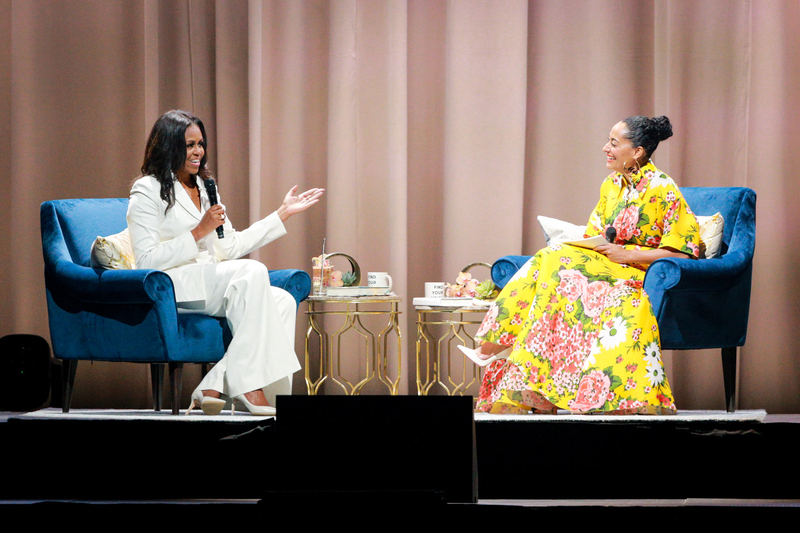 On the Los Angeles stop of her Becoming book tour on November 14th, host Tracee Ellis Ross asked how Obama coped with all of the hurt; all of the “ouches,” as Ross described the experience. “Did you ever have to show up and be that best version of yourself even while you were hurting?” she asked. “Oh, every day. And even with the people who hurt me,” Obama said. She described what she called a “particularly interesting time” during the holidays when the Obama family would open up the White House and do a photo line, where members of Congress and others were invited to visit and take a photo with the Obamas. “You’d spend the year hearing people call your husband names, calling you names—and then they would be in the line for a photo. Barack would always be like, ‘Okay, Congressman X is coming up. Get your face right,'” Obama said. She knew that if she wanted to set the right example for both her own daughters and young people around the country, the only answer was to show a “high level of decency” to all, even those who had called her husband, President Barack Obama, a terrorist who was born in another country. She said she couldn’t just go off on a person in the photo line, even though she may have wanted to. She also described what she meant by “when they go low, we go high,” a phrase of hers made famous during a Democratic National Committee convention in July 2016. She continued, "Kids, young people, it's okay to acknowledge that, but then how you react to it is another thing. You don't let that pull you out of who you are. You don't let somebody else's anger turn you into a different person. That, to me, is what 'going high' is." Inspirational as always, Mrs. Obama.